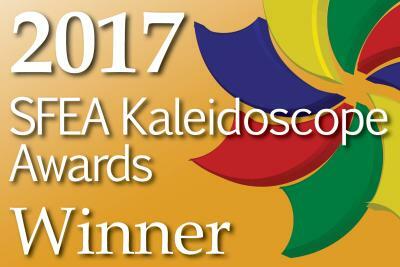 The best and brightest were spotlighted at the Southeast Festivals and Events Association’s Kaleidoscope Awards, in Lexington, KY on February 21st. The ceremony was held in conjunction with the 14th Annual SFEA Conference. Top festivals and events throughout the southeast were recognized for their outstanding contribution to the events industry and the Deep Roots Festival was among those recognized. “The quality of submissions continues to increase each year making it more difficult for the judges to select the winners,” noted Brenda Pierce, Executive Director of the SFEA. The Deep Roots Festival brought home a Silver level award for Best Event Website. For over a decade, the Official Deep Roots Festival Website has played a vital role marketing the festival while being informative and engaging to site users. Artistic creativity, functionality, and best practices were used by the designer, Jimmy Holder, who has lent his skills as a volunteer creating and managing the website since the festival’s inception in 2004. The Silver Award marks the Deep Roots Festival’s 22nd Kaleidoscope Award in eight years. Milledgeville Main Street will host the 15th annual Deep Roots Festival this year on October 21st, benefitting again from the creative genius that is hard-working volunteer and local business owner, Jimmy Holder! 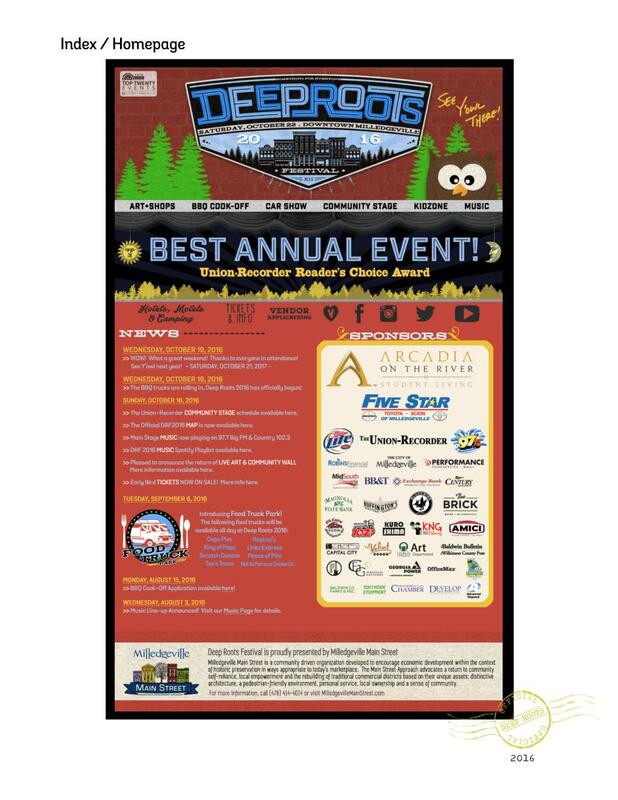 For more information about the Deep Roots Festival visit the award winning website at deeprootsfestival.com.